Albert Ellis was born to a Jewish family in Pittsburgh,the eldest of three children. His father was a businessman and often away from home; Ellis characterized his mother as self-absorbed, with a bipolar disorder. After graduation from college, Ellis had a brief career in business, followed by one as a novelist, and then decided to seek training in clinical psychology. He completed his master's degree in clinical psychology in 1943, and started a part-time private practice while still working on his PhD degree. He sought additional training in psychoanalysis and then began to practice classical psychoanalysis. He taught at New York University and Rutgers University and worked as a psychologist for the state of New Jersey. Later on, he returned to private practice full-time. He founded and was the president of the New York City-based Albert Ellis Institute. In 1951, Dr. Ellis became the American editor of the International Journal of Sexology and published a number of books and articles advocating sexual freedom. He was the first prominent psychologist to advocate gay liberation. He also studied and employed different therapeutic approaches besides classical psychoanalysis, including rational emotive behavioral therapy. In the early 2000's, Dr. Ellis began a relationship with Dr. Debbie Joffee, an Australian psychologist who had come to the USA to study at the Albert Ellis Institute; the couple married in 2004. Albert Ellis is currently considered a "single author." If one or more works are by a distinct, homonymous authors, go ahead and split the author. 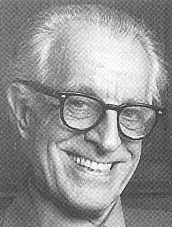 Albert Ellis is composed of 11 names. You can examine and separate out names.